The searing British Summer heat is getting to me...but not in a negative way. Okay it's a little uncomfortable trying to sleep on a balmy Summer's night but the heat is constantly drawing me outside where I can take in the sight of masses of blooming flowers waving in the breeze, the bright & bold colours of Summer clothing. Even the nights offer inspiration too with the golden summery moon suspended like a cheery face amongst masses of twinkling stars, or watching the curtains float in the evening breeze. Today with the humidity more intense than ever, I decided to head to the nearby coast for some cool breeze, sea and of course, ice cream! 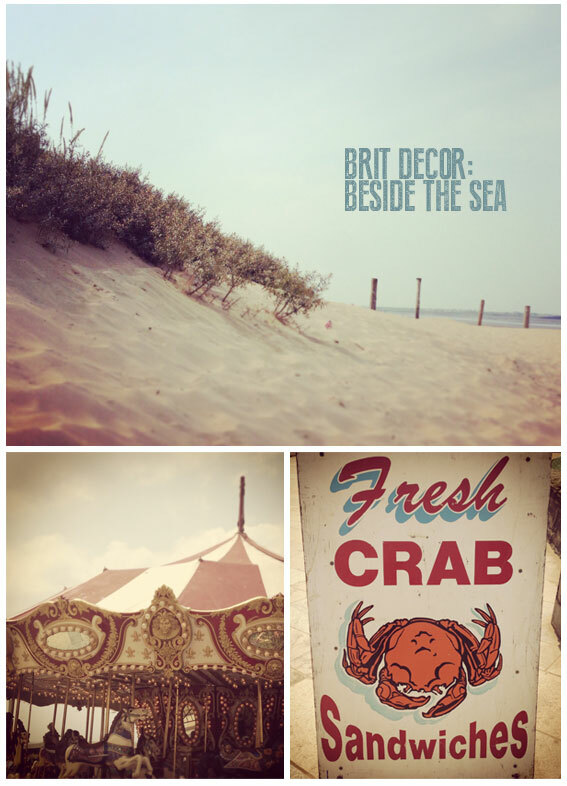 I had forgotten all of the sights and sounds of the great British seaside so it was great fun to reminisce and soak it all up. Oh and just in case you are wondering, no I didn't do that very British thing and escaped without sunburn today! So wherever you are, I hope you get a window of opportunity (however small) to step aside and take in some inspiration, wherever you choose to seek it.